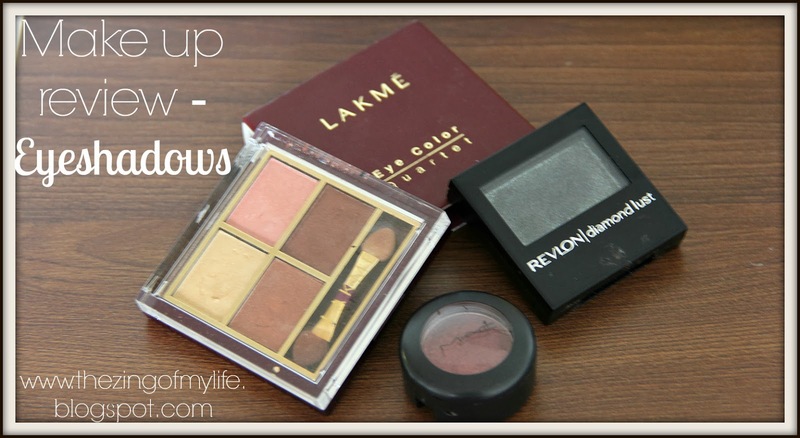 A BIG thanks to everyone for a great response on my first make-up product review post! I wasn't sure when I penned it down how helpful or how my readers would like it reading. I was happy reading all your responses and sharing tips about your fave products. I am sorry I have been late at responding to them, but I sure hope to get to it soon. Thank you all again and so well, looks like I am gonna be continuing with this series. 1. Simple kohl-lined eyes with a bit of mascara - For the everyday look - to the office, or day out in the city, brunch, lunch or that weekday date night. 2. Eye primer, Fancy smokey eyes with lined neatly with a kohl/ kajal, and touch of mascara for the night-out partaay, or a romantic dinner-date in the city. 3. Eye primer, Fancy-shmancy bright eyeshadow, both top and bottom eyelids lined perfectly and oomph loads of mascara for special occassions like Diwali party, Christmas party or a fancy night out. Well, so today I was thinking of sharing my best and trusted make-up products. I have used most of these for a solid couple of years. But that doesn't mean I have liked all of them. I will be listing out the good, bad and the 'meh' ones and of course tell you why they ended up in that category. My daily eye make up includes a Kajal/eyeliner and a mascara. I had been using the MAC technakohl liner for years now until recently when I switched to the 'eyeconic' kajal by Lakme (during my India trip). The MAC one smudged after a few hours into the day and did not stay on for the whole day. Whereas the Lakme one stays on quite crisply for 6-7 hours with no smudge. The kajal tip is quite thin to draw that perfect line to highlight the eyes. I did buy a liquid eyeliner from MAC, but it is not something I can use when I am in a hurry (especially the morning rush times). I dont have a steady hand and need some peaceful time to draw a straight line on my eyelids. The result no doubt is glam, but again if you have shaky hands then I would ask you to skip buying it. The NARS eyeliner is like a felt pen. I did not get a clean, dark line out of it and I don't think it is has done wonders to me. Something you can skip trying/buying. I have been experimenting lately, with different brands for Mascaras; after I empty one bottle I usually move on to another brand. Lately, most of the brands have come with dense brushes so the result is more all less the same. Right now I am using the NARS Mascara, and there's nothing really to complain about it. I switch to the Maybelline COLOSSAL VOLUME mascara when I am looking for a change. Last here is the a dark-grey shimmer eyeshadow from REVLON. I found this amazing color in Target last year (when everyone, including me, was going ga-ga over the shimmer/glimmer trend..remember!). Since then it has been my trusted confidante for going the smokey-eye way. I just dab it on the eyelids after the primer (that I reviewed here) and then spread it with a brush to make the eyelids all sparkly and smokey. A thick-coat of mascara and kohl-lined eyes makes the perfect eye makeup for a night-out. So that's a wrap on the eye makeup category. I m really looking forward to trying different eye-shadows or eye make-up styles. Do share your trusted products and fave tips to dress up the eyes! Hey there, loved your blog, just followed you on GFC, (188) would you mind to follow back?